Elevate your look with our Mediterranean Pons Avarcas in Metallic Gold! 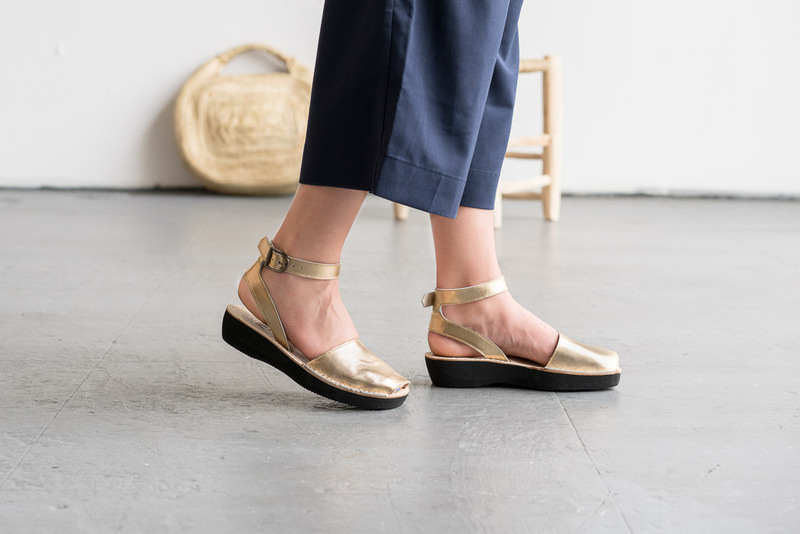 Inspired by the traditional Spanish sandal, these metallic Pons are handmade with high quality leather, have a durable leather sole with an adjustable buckle closure, and feature a 1.5 inches (3.80 cm) lightweight micro-pore anatomical platform sole. Pair them with black to let them make a statement, or mix them into your casual t-shirt and jeans & accessorize with similar gold jewelry.